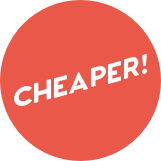 What is the price of staying connected, of that phone in your hand or that watch on your wrist? Recent TV shows would have you believe that the most dangerous job in America is a crab fisherman, or maybe even an ice road trucker. But what the U.S. Department of Labor unequivocally recognizes as truly the most dangerous job in America is a “tower dog”—the men who work on cellular towers all across the country, building the networks that keep us all connected. 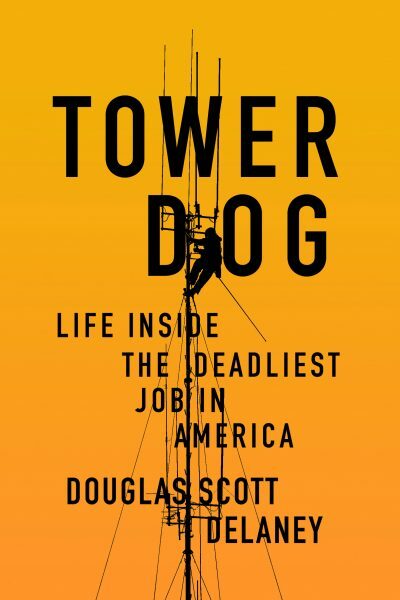 In Tower Dog: Life Inside the Deadliest Job in America, Doug Delaney, a tower dog for over fifteen years, draws readers into this dark and high stakes world that most don’t even know exists, yet rely on every minute of every day. This risk-laden profession has been recently covered by NBC Dateline, Frontline, the Wall Street Journal, and the Washington Post, but none of these reports have provided an in-depth look at the rough and tumble subculture of workers throughout America who are risking their lives—and dying at such a high rate. A fascinating mix of construction crews and thrill-seekers, these men have always been living on the edge of polite society. Delaney is a brash and illuminating guide, and Tower Dog gives us the real experience of what it’s like for the workers balanced precariously above the clouds. A vivid book guaranteed to make readers more aware of what it takes to get that cellphone signal into his or her hand, for better or worse. Delaney’s descriptions of working on broadcast towers document fatigue (90-hour weeks) and fear (of gravity’s heartlessness) and reverberate with bravado... Delaney’s book promotes appreciation for those who risk their lives so we can get a cell-phone signal, and it just might provoke some acrophobia, too. I was totally compelled by this . . . the writing is strong; in the tradition of Junger, Langwiesche, Krakauer ... with a dash of Hunter S. Thompson. DOUGLAS SCOTT DELANEY is an award-winning and produced playwright and screenwriter. He has done development work with Fox Searchlight and Columbia Pictures, among many others, and has done production work for both TV and film. His short fiction has been published in Kansas Quarterly, Prism International and Western Humanities Review. Born in Brooklyn, Delaney now lives in the Kansas Flint Hills, where he has been a tower dog since 1991.